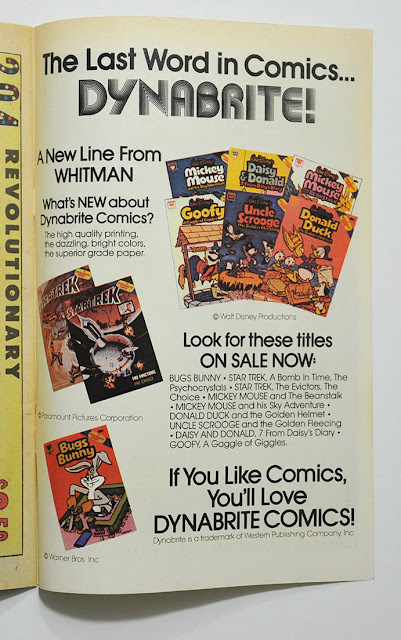 In 1979 Western publishing started a new line of comics called Dynabrite comics. They actually trademarked that name, but the comics were also published under their Whitman imprint. 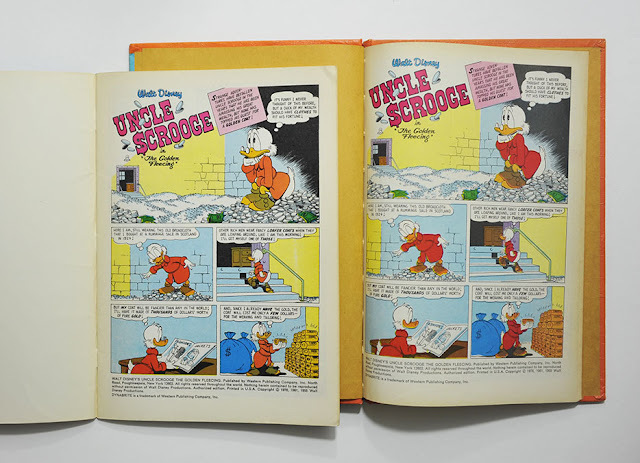 As the advertisement for the series say, the comics were printed on better paper than the usual comics had at the time. 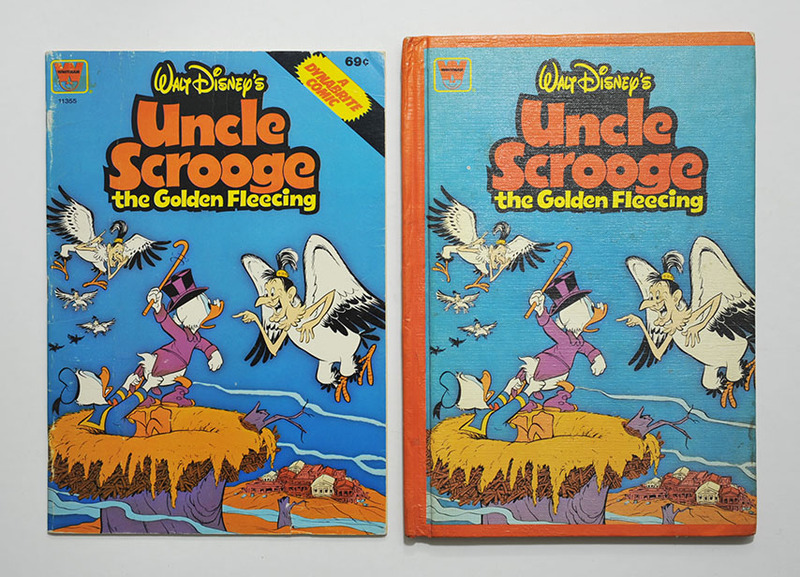 They also had a cardboard cover and no ads inside, but were priced a little higher than the regular comic series. The other Disney titles with a Whitman logo on the cover were usually sold in plastic bags as a pack and not distributed to newsstands (the ones with a Gold Key logo were the newsstand variants). I'm not sure where the Dynabrite comics were sold, but as they have no ads inside and don't have any barcodes they were most likely not sold at newsstands. 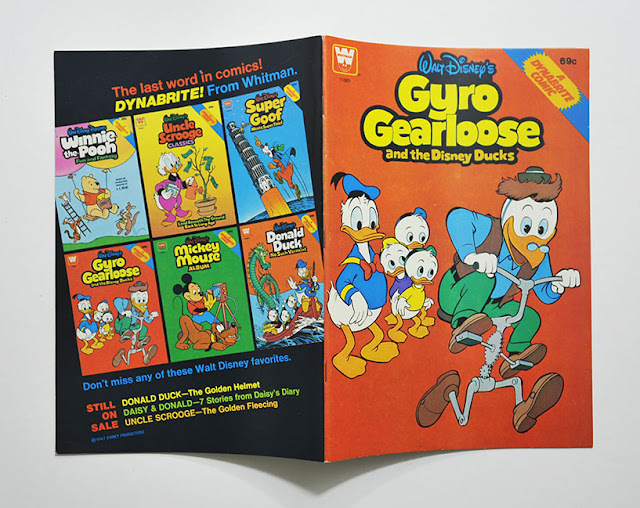 A total of 12 Disney-comics were published in the Dynabrite series, all with reprints and no new material inside. Of the 12 comics I also got a library edition of five. They are all made by a company called Goldencraft, and the books are marked with "Goldencraft Reinforced Binding" and a logo saying "A selected Goldencraft edtition for school and library use". I know a lot of companies exist that turns any comic, magazine or paperback book into a more robust binding for library use. 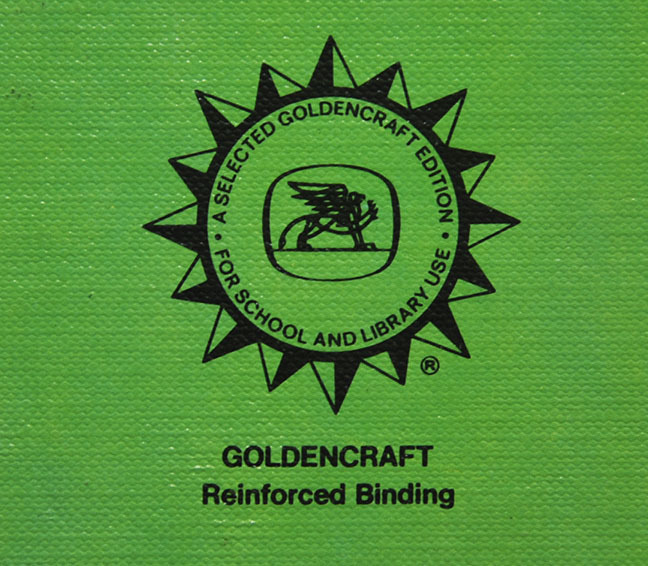 But the ones from Goldencraft seem to be an official library binding. The inside paper is the same kind as the comics, but the entire cover is a special print for the books. They also have a number that looks like an ISBN-number on the back (the cardboard comics does not). Using the last digit check, they all seem to be valid ISBN numbers. The books I have I got from two different British sellers and they don't seem to have been used in any libraries. 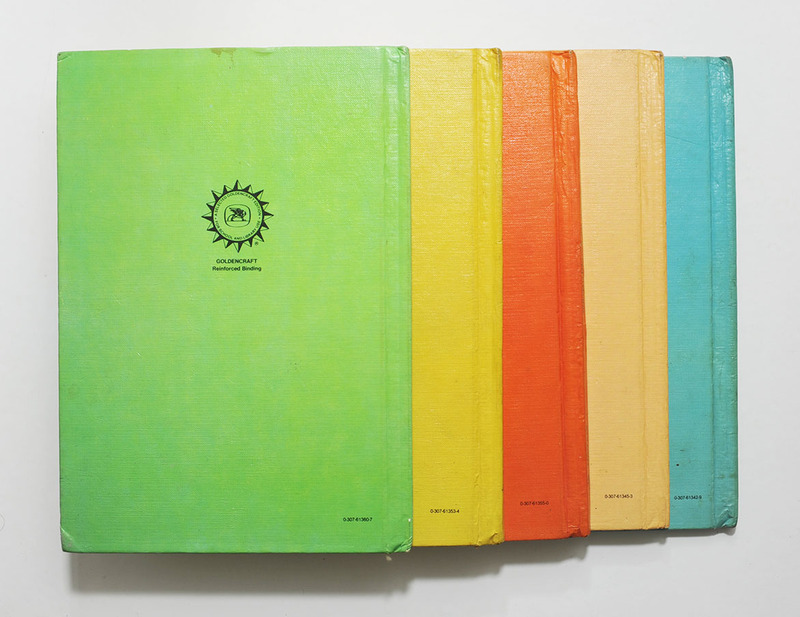 If these editions were in normal sale (and where they were sold) I have no idea. If anyone reading this know more about the Goldencraft editions, or know if more books than the five I have exist, please make a comment!